WOW! ***This PERFECTLY DECORATED, cute 3br, 2ba home and is truly MOVE IN READY! *** Nice, small, quiet, desirable GATED COMMUNITY with HEATED COMMUNITY POOL and SPA only a short walk away! 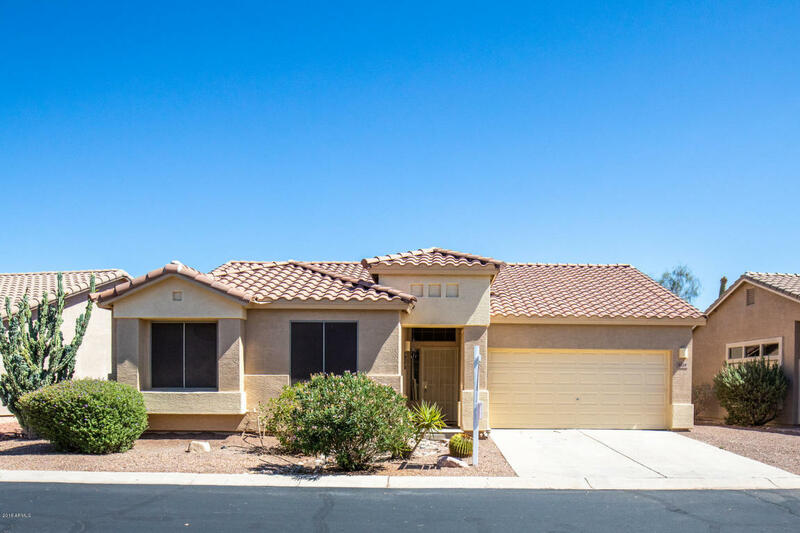 FANTASTIC GOLD CANYON LOCATION close to golf, hiking trails, shopping & dining too! You will love the OPEN GREAT ROOM FLOOR PLAN, impressive vaulted ceilings and all TILE FLOORING THROUGHOUT (zero carpet) for super easy maintenance! Newer HVAC and newer COVERED PATIO with easy care desert landscape and view fence. This is the only single level home currently available in VISTA POINT.....Don't Wait too long, MUST SEE!